Welcome to the 7th Annual Indie of the Year Awards, a celebration of the years finest indie games chosen by you and us. For the next 4 weeks it is up to you to vote for your favorite indie games so that they may make the top 100 which will be announced on the 11th of December. Last year we saw galaxy-traversing sandbox Space Engineers take out first place, followed with the tactical shooter Squad as runner up with the 90's nostalgia inducing Black Mesa finishing third on the podium. Read our players choice or editor's choice for the full results and start voting to help award the prestigious title of the 2016 Indie of the Year. Good luck everyone! Square Enix Collective has been created to act as a service provider for indie developers, either through helping to build community, helping to raise funds via Kickstarter, or with support for releasing games. Regardless of which services we work with you on, you will always retain your own IP, as well as creative control over your projects – and at each stage it’s up to you if you want to continue to work with us in the future. We've counted your nominations and narrowed the field to the top 100! Time for a further 10 days of intense voting to begin on the top 100 page. 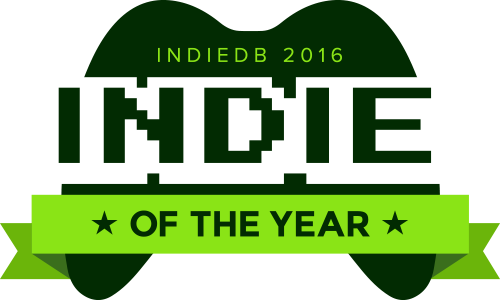 At the end of this we shall be crowning the 2016 Indie of the Year and also the 2016 Editors Choice. Don't forget to vote for your chance to win games from our Mod DB #modlove collection.